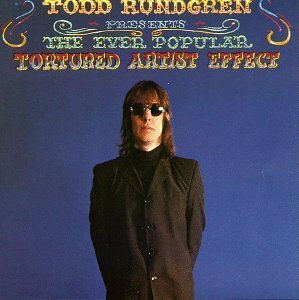 The "ever popular tortured artist effect" is one of the foundational myths of modern celebrity journalism. Presumably, shiny, "happy" people don't produce art, because art must come from sickness and deprivation. The obituary notices and tributes that follow the death of a celebrity are always and inevitably premised on a Jekyll-Hyde split between the (public) artist and the "private" person. Always, genius is imagined as an autonomous power, something beyond the person's control, a gift but also a curse. Crucially, the appeal to genius serves as the alibi, the explanation (in the sense of apology) for the "private" person's excesses. It's thoroughly Romantic in its origins, a variation of the powerful myth of the Byronic hero, the isolated, solitary figure who stands outside genteel culture but is nonetheless admired by it. This is the reason why celebrity obituaries and other forms of post-mortem hyperbole are always extraordinarily partisan, pleading the artist's case and making extravagant claims about the immensity of the artist's talent. The relationship between the guide fish and the whale is analogous to modern celebrity and the institutional apparatus that supports her (the handlers, the agents and secretaries, publicists, the bodyguards and their wives and children, the hangers-on, the sycophants, and so on). The trick is not to mistake the whale for the artist, for in fact the artist is the small guide fish leading the whale around, while the massive whale represents all those whose livelihoods depend upon the artist. The whale's dependency explains why it does nothing but allow the guide fish to do as it wants, even pursue a deadly course. Of course, once the guide fish goes astray, the whale is lost, but the whale is all too aware of its dependency, and therefore does nothing, hoping to stave off the inevitable.